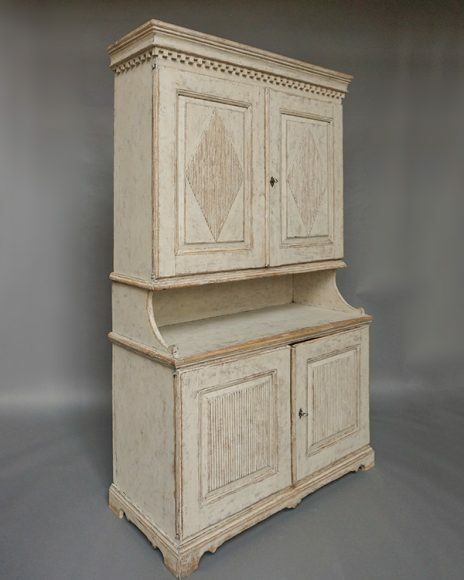 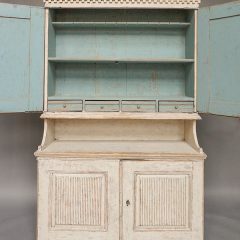 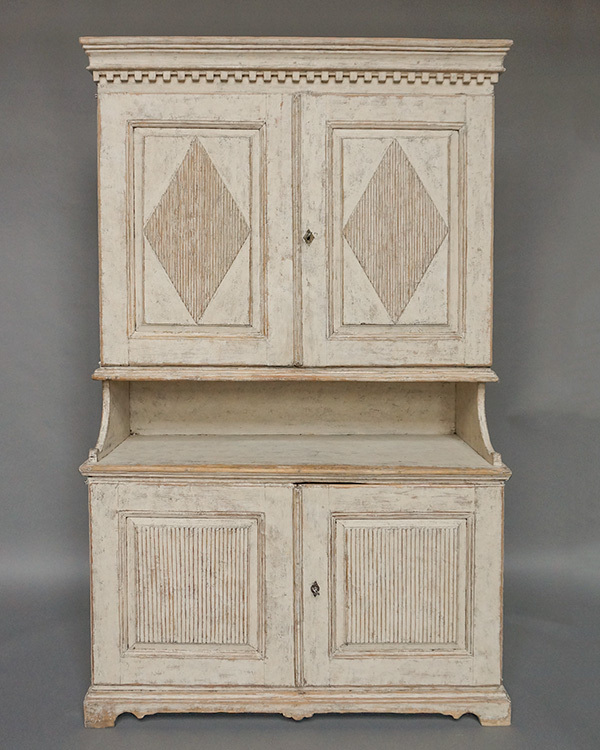 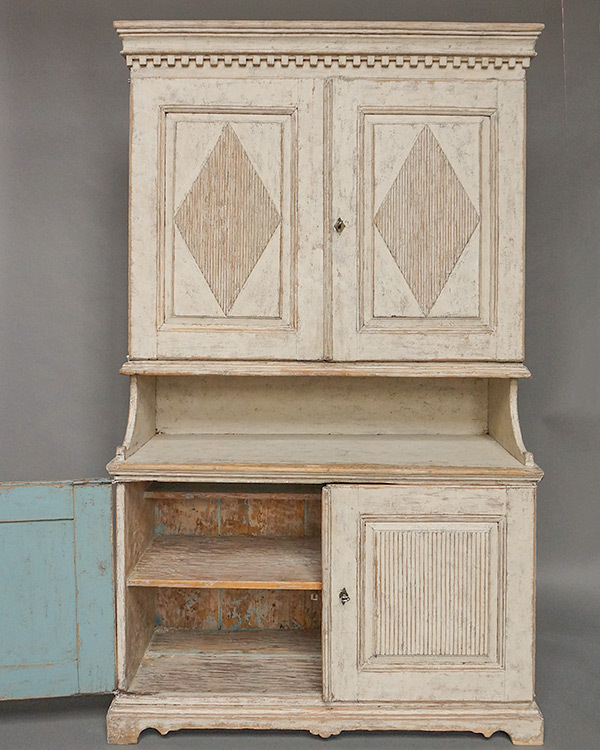 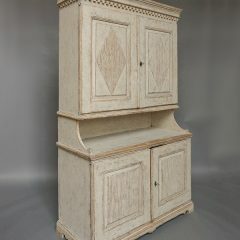 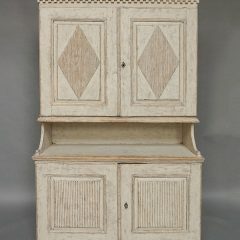 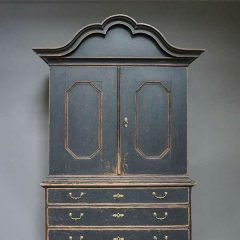 Period stepback cabinet in two parts from Värmland, Sweden circa 1820. 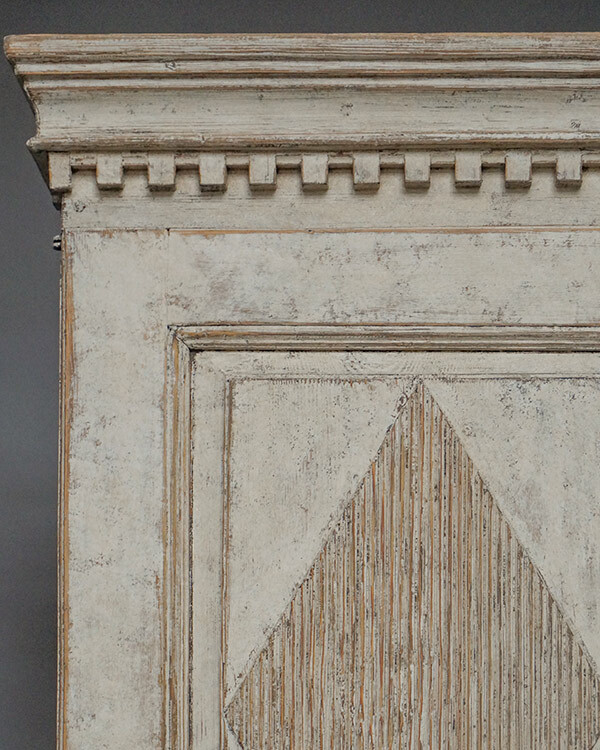 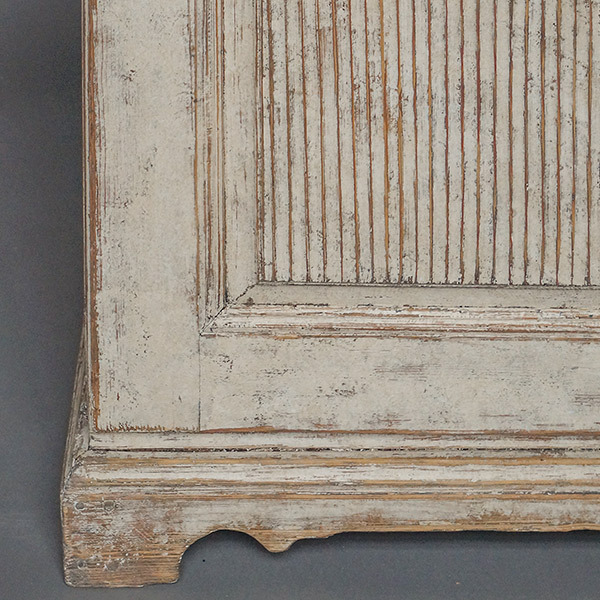 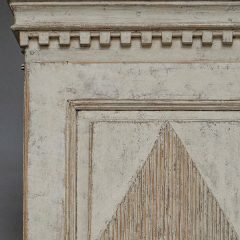 The upper section has two paneled doors with reeded lozenges under a cornice with dentil molding. 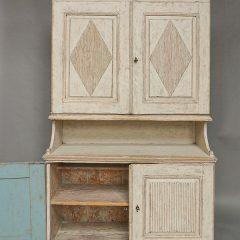 The interior has two shelves, one notched for spoons, and four small drawers. 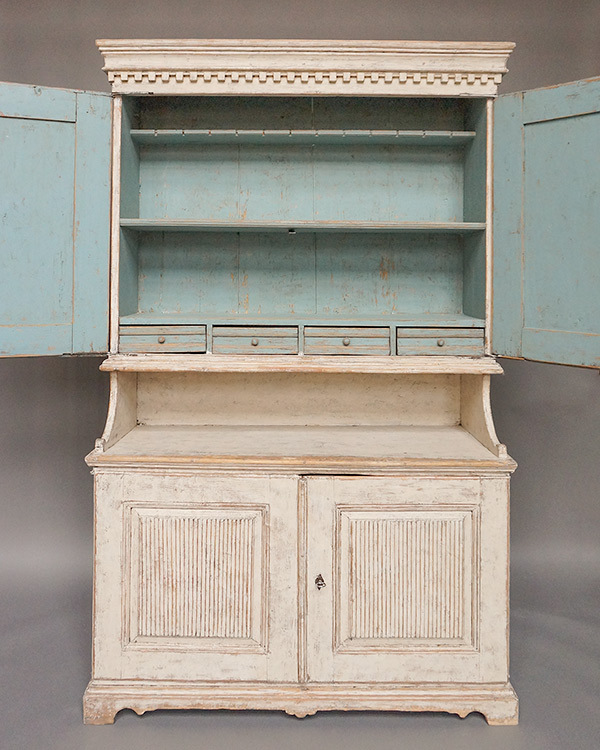 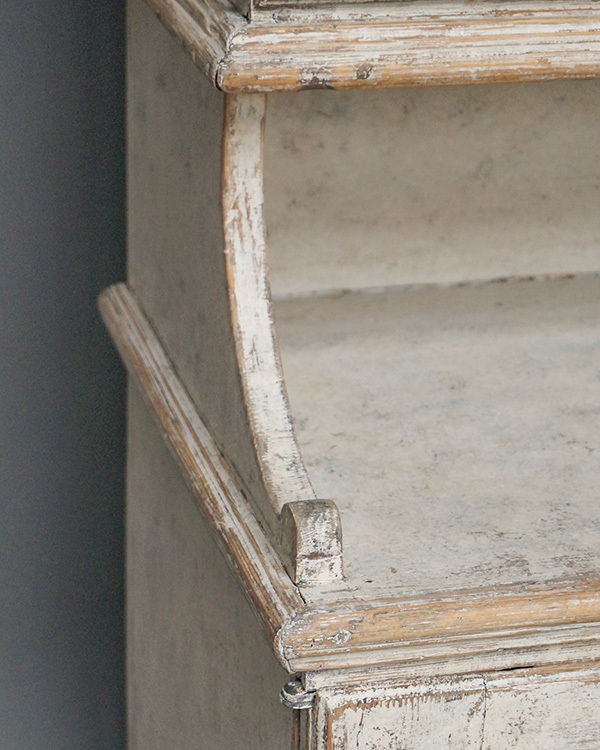 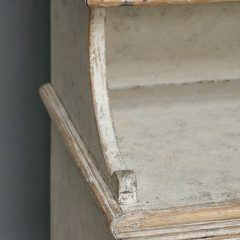 The lower section has a two-door cabinet on a bracket base and a fixed interior shelf. 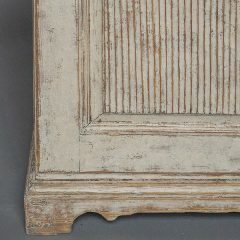 Great patina to the painted surface.